The minister of police says the key stumbling block to fighting crime is getting more people into police uniform. Well, now we know. If you thought the poor state of policing in this country was because of lack of training, commitment, ethics or honesty, then you were wrong. 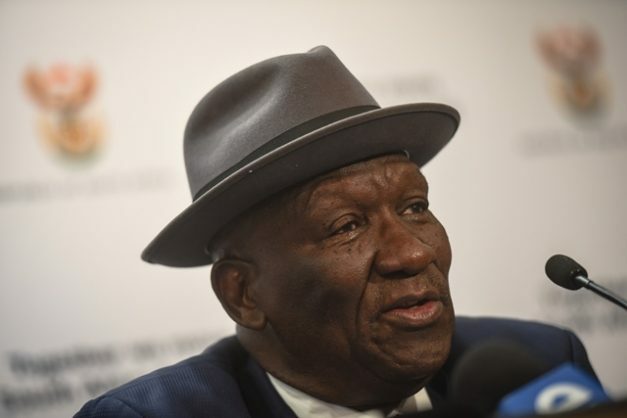 SA’s top cop, Police Minister Bheki Cele, has revealed the key stumbling block to fighting crime is getting more people into police uniform. Explaining to parliamentarians this week why things are so bad in our law and order sector, Cele said he needs 7 000 more cops. His logic was that, in 2010, there were 200 000 police personnel and 54 million South Africans. Eight years later, he claims, our population has swelled to “57.3 million people, with an additional number of foreigners”. His best guess is that there are 11 million undocumented foreigners within our borders, meaning the real South African population is 60 million. Despite this increase, the number of police personnel has decreased to 191 000, he says. The minister also wants better technology and infrastructure because these, too, are the key reasons for the growth of crime. While we do not deny that there is a problem with manpower – and hats off to the hat-wearing minister for daring to raise the “elephant in the room” issue of illegal immigrants – we are also concerned that he ignored realities like corruption, inefficiency and just plain lack of commitment. Minister: If we, the long-suffering taxpayers, allow you what you want, where will our government remove the funds from? Education? Health? And, even if you get the money you want for hard and soft policing assets, what guarantee can you give that attitudes among police personnel will change? There are far too many reports of disappearing dockets, poor service at police stations and involvement of police officers in crimes. How are you going to tackle those, minister?